Rita Wirkala is an Argentine writer residing in Seattle, whose work has been published in Europe and the United States, and acclaimed by a major Spanish language newspaper. She writes novels, poetry, literary essays and school and homeschool textbooks. She also teaches classes and writing workshops in Spanish for Seattle Escribe, sponsored by THE SEATTLE PUBLIC LIBRARY FOUNDATION. After 20 years of teaching at the University of Washington, she is now partially retired and dedicated to writing, traveling and to her five grandchildren. Her extensive travels as well as reading widely in different areas-such as anthropology, psychology, philosophy, and science- have been the sources of inspiration for all her work. Her doctoral thesis, about The Book of Good Love by the Archpriest of Hita, reflects her deep interest in the rich tradition of storytelling. Rita Sturam Wirkala, escritora argentina residente de la ciudad de Seattle (E.E.U.U.) ha publicado en Los Estados Unidos y en España, donde ha recibido positivas reseñas literarias. 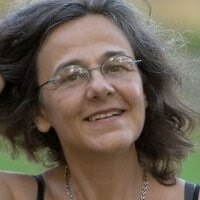 Rita escribe novelas, poesía, ensayos académicos en literatura española y libros de texto. Es traductora de libros de niños, compositora de canciones infantiles, y fundadora de All Bilingual Press. Asimismo, Rita imparte clases y talleres de Escritura Creativa en Español, en Seattle Escribe, una serie auspiciada por la Fundación de la Biblioteca Pública de Seattle. Después de 20 años de enseñanza en la University of Washington, Rita está parcialmente jubilada, y dedica su tiempo a escribir, viajar y cuidar a sus cinco nietos. Sus extensos viajes así como lecturas en diferentes áreas más allá de la literatura (antropología, psicología, filosofía y ciencias) informan e inspiran todo su trabajo.